Brian sits on a DOB advisory committee that proposes changes to FISP regulations. The committee’s attention is now focused on Cycle 9, which begins in February 2020. 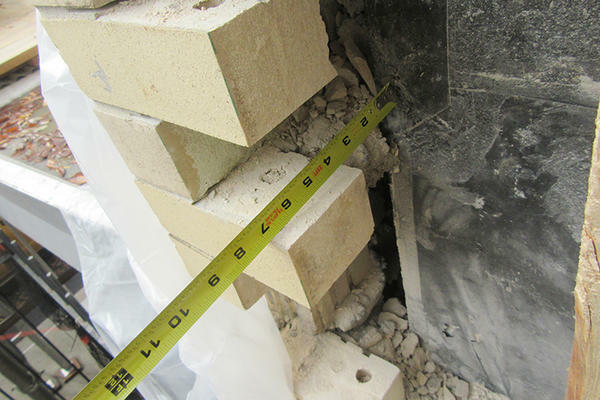 Probes to verify and document wall anchors in cavity wall facades might be required in the 9th cycle and every 10 years thereafter. The number of required close-up inspections might increase. Qualified Exterior Wall Inspectors (QEWI) might be required to have at least three years of relevant experience. (VA partner Kelly Streeter, P.E., is a certified QEWI). A time frame to resolve unsafe conditions might be required, with a maximum of five years. Monthly civil penalties for unsafe conditions might accrue and increase annually at a rate based on the length of sidewalk shed. The DOB might perform inspections before granting extension requests. Boards might be required to display a FISP condition certificate – either “safe,” “safe with repair,” or “unsafe” – in the lobby. To read Brian’s article, go here. To learn about VA’s façade inspection services, go here.